Steel surface where to place the pieces to punch. 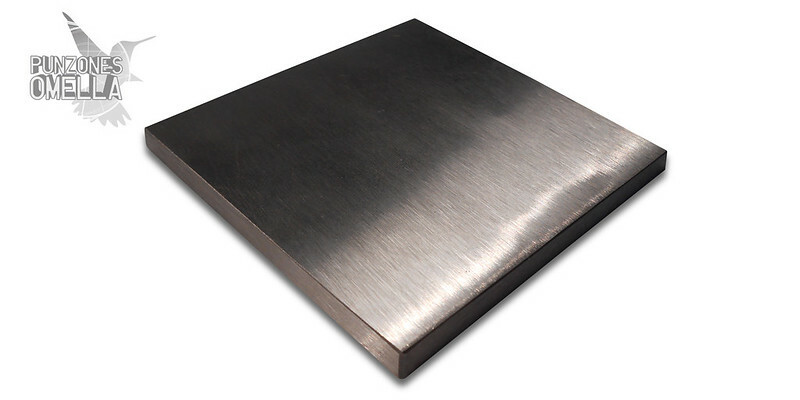 All surfaces are hardened, smoothly polished, and ground flat. For shaping, stamping, flattening, laying out, and chasing metal. Made of solid high carbon steel for resistance to dents and scratches. Price: 39.95 Euros VAT included.